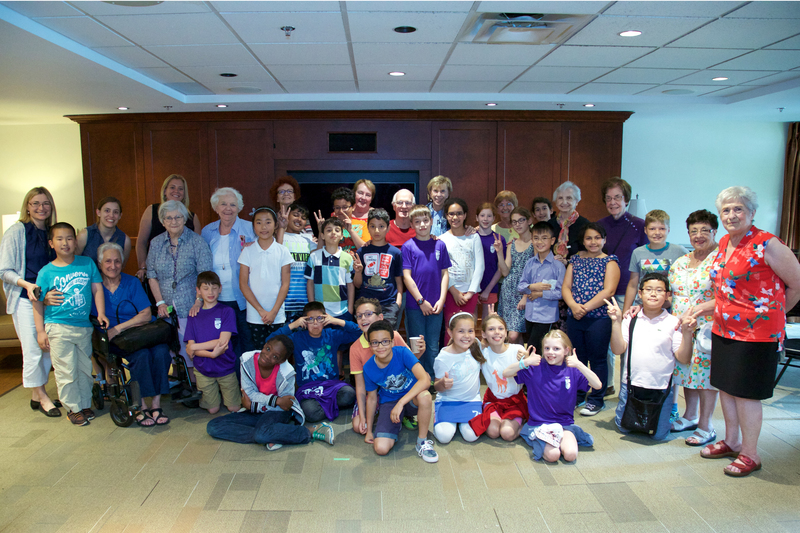 Students from the Trésor-du-Boisé elementary school and seniors from Les Verrières du Golf retirement center in Montréal spent six months writing letters and exchanging them with each other as part of Domtar’s PaperPal program. In late June, they met face-to-face during a special event at the retirement center. 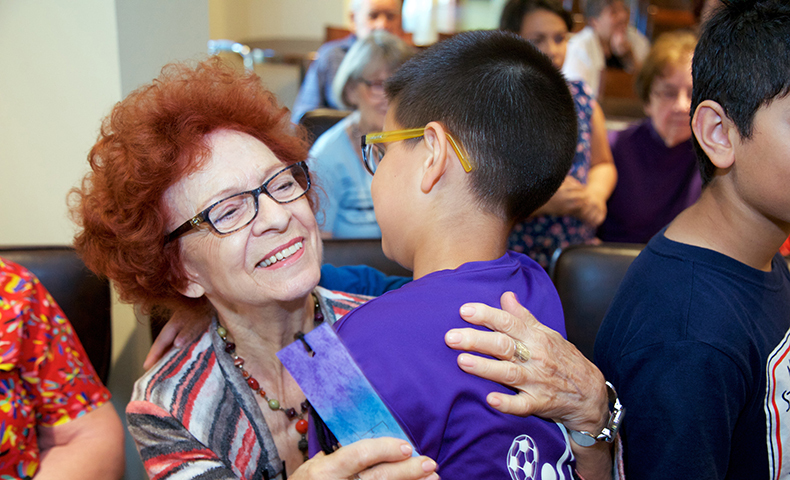 To kick-off the event, the children stood up one-by-one and posed riddles to the seniors, quoting from the letters they had sent or received, and in return, the seniors identified their pals. Following the riddles, the group enjoyed a live comedy show, which included short plays, songs and storytelling. After the show, the event wrapped up with an ice cream social and one-on-one time. Maria Victoria Saturno, a business analyst in Domtar’s Montréal office, brought the PaperPal program to the area and planned the event. Geneviève Lahaye, the fourth-grade teacher whose students participated in the PaperPal program, brought the letter-writing program to her school for the same reasons. PaperPal participants don’t just benefit from the relationships created through writing letters; they also enjoy the cognitive benefits of putting pen to paper. Studies have shown that children who write by hand, versus typing on a keyboard, are better at generating composition ideas. They also experience greater neural activity in the areas associated with reading and writing. Those benefits apply to seniors as well. Domtar tested the PaperPal program in 2015 at a school and a retirement community in Van Nuys, California. That letter-writing project was so successful that the groups wanted to continue writing letters after the two-month program ended. Since then, the PaperPal program has spread throughout the United States and Canada. The program has also recently been picked up by a Domtar employee in DuBois, Pennsylvania. Ashley Asti, an administrative assistant, is currently planning Operation: Paper Warriors, during which local students will exchange letters through the PaperPal program with United States military personnel currently serving overseas.